More and more over the past several months I've been realizing just how well my skin does when I use a really good facial oil as a part of my nighttime skin care routine. One thing that I'm finding more and more is that certain oils really help my skin to feel deeply nourished and hydrated in a way that only they can. 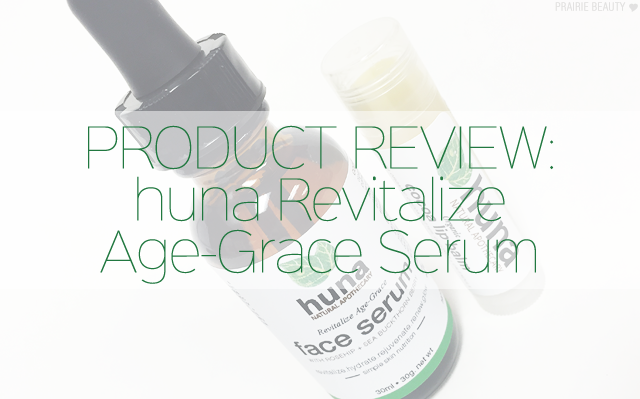 Recently, I got the great opportunity to try out one of these products from a local Winnipeg skin care brand, the huna Natural Apothecary Revitalizing Age-Grace Face Serum*, and I'm excited to talk to you guys about it. I think it's incredibly important to support smaller brands, particularly local ones, and I also think that there's a lot of hidden gems from these types of businesses. 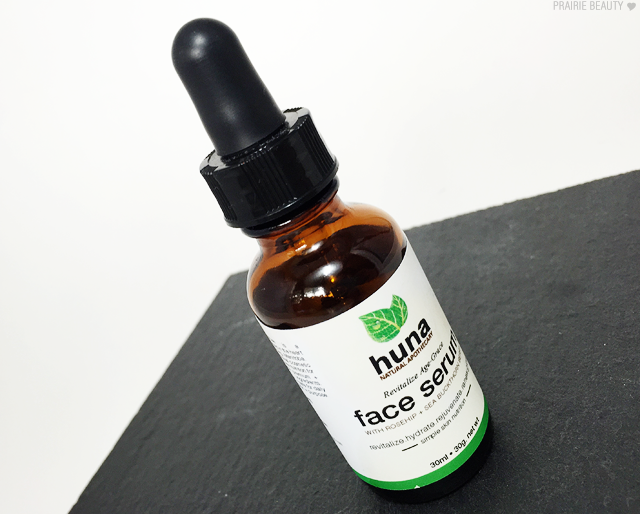 huna Natural Apothecary is located in Winnipeg, Manitoba and they have a farm in Southern Mantioba where they grow the ingredients for their products. They're the first luxury skin care brand in Manitoba to grow their own botanicals and make proprietary blends. Pretty cool, right? Keep reading for more about this product and my experience using it! 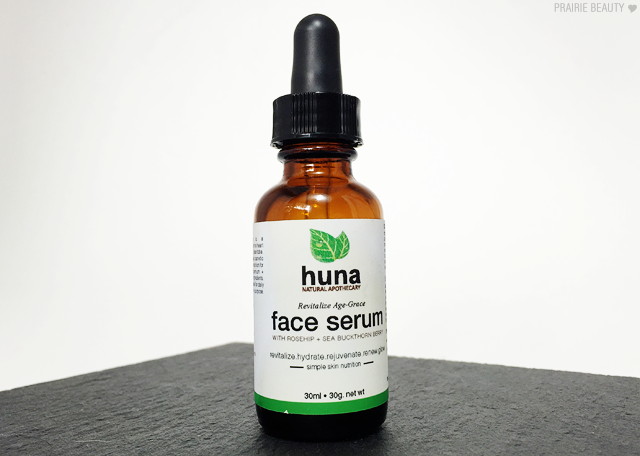 huna Revitalize Age-Grace Face Serum with rosehip + sea buckthorn berry is our signature + absolute fav- a lightweight, deeply hydrating power-packed serum that nourishes and protects with an antioxidant + polyphenol-rich formula. It is quickly absorbed to balance, revitalize, renew and leave skin glowing. Contains our in-house proprietary ‘Age-Grace’ botanical active complex with our very own homegrown organic botanicals- specially developed to firm, tone, smooth fine lines, calm inflammation + reduce the appearance of age spots. Professionally handcrafted using 71% Organic ingredients. camellia oleifera (organic camellia seed oil), vitis vinifera (organic grape seed oil), punica granatum (organic pomegranate oil), perilla frutescens (organic perilla seed oil), helianthus annus (and) beta-carotene (carrot tissue oil), rosa canina (organic rosehip oil), limnanthes alba (meadowfoam oil), oryza sativa (organic rice bran oil), caprylic triglycerides (fractionated coconut oil), tocopherol (vitamin E), hippophae rhamnoides (sea buckthorn berry extract), rosmarinus officinalis (rosemary extract), pelargonium graveolens (geranium essential oil), lavandula officinalis (lavender essential oil), + contains our proprietary in-house ‘Age-Grace’ botanical complex; Calendula, Helichrysum, Rumex + Green tea. 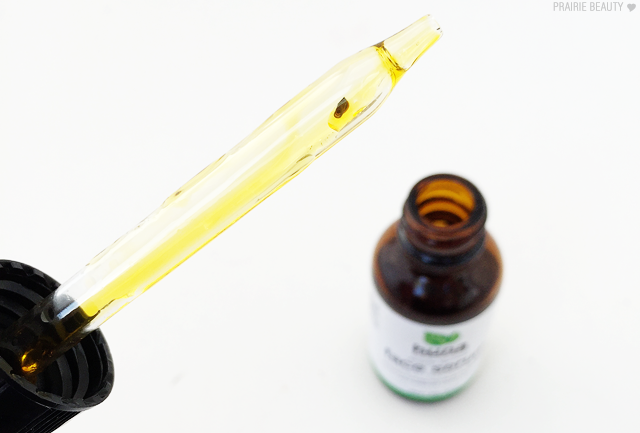 As you can see, this oil comes in a dark toned glass bottle and has a dropper to dispense the product. When it comes to oils, both of these factors are important to me. First, the dark bottle is important because it helps to filter out light that can cause the product to oxidize and break down. Second, the dropper makes it easy to dispense the right amount of product and keeps everything from getting messy. I actually really like this particular dropper because I feel like it dispenses the product easily without spitting all of the product into my hand when I just want a few drops. I personally find that about a third of a dropper is enough to easily cover my entire face and neck without feeling heavy or as though I've applied too much product. This serum has really, really good ingredients in it. The oil blend contains great skin care oils such as camellia seed oil, grape seed oil, and rosehip seed oil, and brings them together for a formula that feels light but incredibly hydrating and soothing on the skin.While I know some people stringently avoid essential oils, I find that for me it's a "dose-makes-the-poison" type of situation and I actually quite like them in small doses in my skin care. These ingredients can be irritating for some people, but I have pretty sensitive skin and I've never had any issue with them in small quantities and have definitely not had any irritation from this serum. I like to use this serum at night, between my exfoliating step and my night cream step. Generally, I like to apply it and then really let it sink into the good for about 10-15 minutes before I apply my moisturizer, but I've also applied it immediately before moisturizer and I haven't found that my skin feels overloaded or greasy when I do this. I do think that this oil really does soak into the skin and in the morning I wake up with skin that feels deeply hydrated and balanced - and no greasy residue on my pillow! 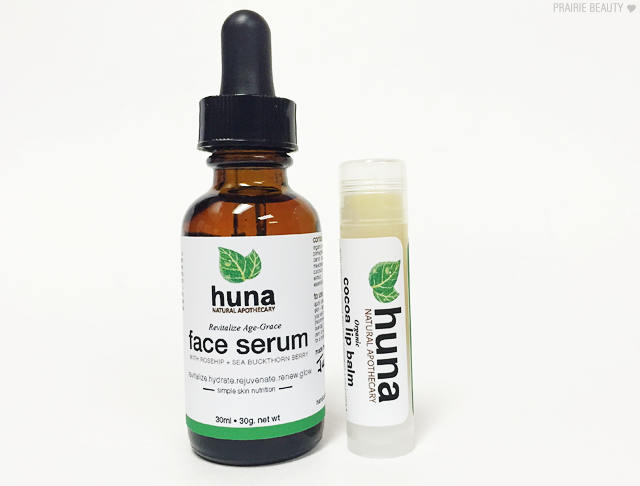 huna Natural Apoethecary products are available on their website https://www.hunaskin.com/ and I would give this product a big thumbs up!